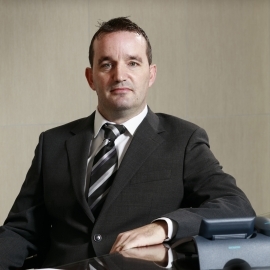 Ciaran is a Chartered Engineer who joined JV Tierney & Co in 1999 and since then has extensive experience in a wide range of projects in both the Public and Private sectors, particular experience on the management and engineering of projects in the Education and Healthcare sectors. Ciaran has also worked on our most prestigious projects such as the Redevelopment of St Vincent’s Hospital, Elm Park, Dublin and acts as our Technical Advisor for the Department of Education and Skills on the Public Private Partnership Rapid Build Schools. Ciaran's particular skills include developing and maintaining client relationships, managing and exceeding their expectations and ensures milestone dates are met and his team offer high quality engineering.